Well, it looks like those deleted tweets from Gearbox's PR weren't part of an April Fool's joke. Borderlands 3 is now confirmed to release September 13 on Xbox One, PlayStation 4, and PC. Those looking to grab the game on PC will have to do so through the Epic Games Store for the first six months, as Epic Games has secured an exclusivity deal through to April 2020. 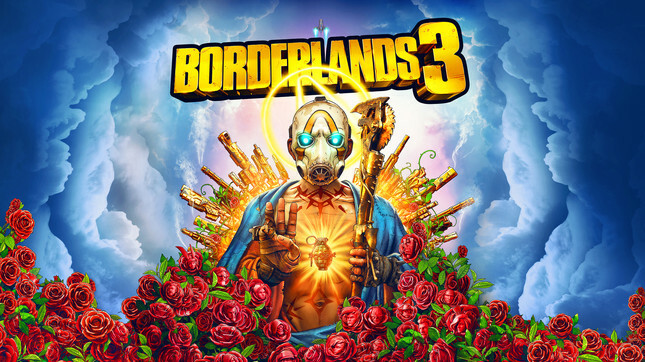 In response to initial rumblings about the Epic Store deal, Gearbox CEO and cofounder Randy Pitchford pointed out that "2K/Take Two has exclusive publishing rights for Borderlands 3 and makes all decisions regarding price-points, territories, distribution and platform partnerships." He continued, saying "as a customer, I’m happy to shop in different stores - already do! I’ve bought games from Xbox, Playstation, Switch, Steam, Origin, GOG, Humble, Uplay, Epic and other stores. To me, exclusives are fine when they come w/ advantages and when they are short – say, six months." Pitchford concluded with thoughts regarding cross-platform play, noting that his team believes "multi-platform support is a pre-requisite and Epic’s leadership with cross platform support is helpful to our interests." In addition to a release date, further details were given on gameplay and each of the new Vault Hunters – Moze, Amara, FL4K, and Zane. Moze is the gunner class and can call in a mech suit known as Iron Bear. Amara is this game's Siren class, and comes wielding some ethereal fists of fury. FL4K can tame wild beasts and unleash them in combat, while Zane is an Operative class who has a utility belt full of gadgets and a number of stealth attacks. Borderlands 3 will feature player scaling for the first time in the series, meaning anyone can play with anyone – no matter how long they've been playing. A Borderlands 3 Deluxe Edition is also available for pre-order now and comes packed with Retro & Neon Cosmetic Packs, a Gearbox Cosmetic Pack, Toy Box Weapon Packs, and XP & Loot Drop boosters.